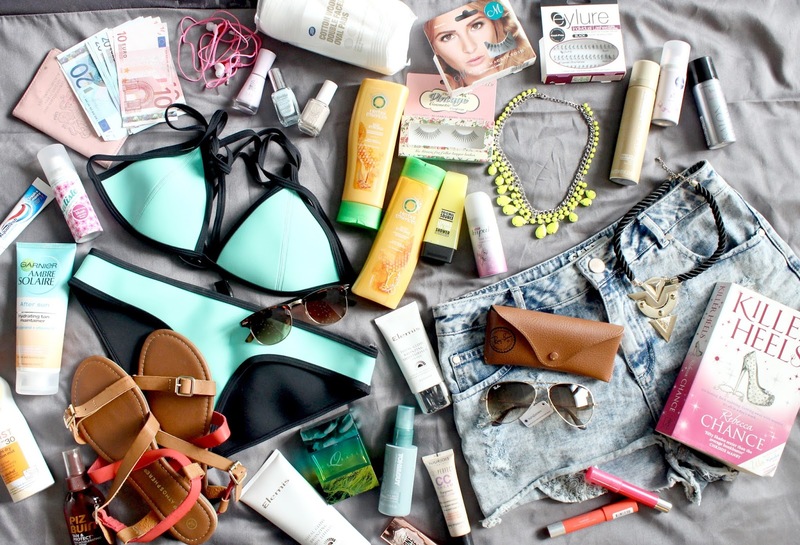 Packing for holidays, I’m not going to lie – I hate it, but I love travelling. Packing is obviously essential, but it is SO damn boring (and stressful, too, like trying to make sure you take what you need without exceeding the baggage allowance). Here are 5 tips that I swear by, you can thank me later. The weather is something we can never predict, but the forecast does give us a bit of a clue. Check what the weather is going to be like and pack accordingly. They usually give a percentage of rainfall – definitely take notice of this. You’re probably better off packing an umbrella and rain jacket anyway. Not only does this help you sort out what you need to take, but it helps when you’re packing, too. I’ve lost count of all the times I’ve packed my case and wondered whether I’d put something in or not, this resulting in my having to unpack and repack several times. The beauty of having a list is you can check things off as you put them in the case. Happy days. I would also recommend you write the list a few weeks before you go away. This will give you chance to get your stuff together and wash what you need. Your instinct is to always fold your clothes. Don’t. You’ll get far more in your case if you roll. Your clothes won’t crease either, trust me. Whatever you do, don’t just throw things in the case. You’ll never find anything otherwise. I suppose this is OK if you unpack and hang things up when you get there, but if you’re travelling around and living out of your suitcase, this is a nightmare. It’s always handy to just reach for your day or evening clothes rather than going rummaging. Always account for the stuff you plan on doing on your holidays, so you’re able to have easy access to the clothes you need. I pack some spare clothes in my hand luggage , just in case my suitcase doesn’t make it to the other side. This has happened to me a couple of times. I’ve gotten it back eventually, but there’s nothing worse than thinking you’ve lost everything. Remember to keep your phone chargers handy, too. Battery packs are a must if you can’t get to a power supply. Do you have any other packing rituals? Let me know!